PR21/5W 12V 21/5W BAW15D Red Philips Turn/Stop Lamp. This premium bulb is a direct replacement for vehicles with clear lenses. Introductory price of 13.95 each or 22.00 for a pair. 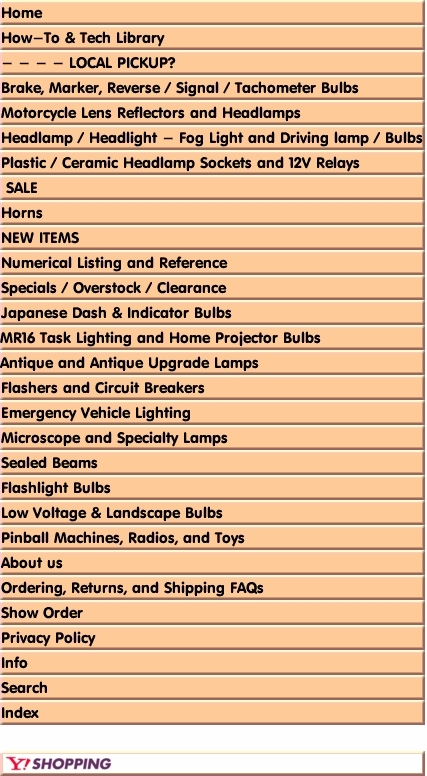 Please note that these bulbs have a unique base and will not fit in the place of an 1157 or regular Euro-P21/5W. The pins are both indexed and 170 degrees opposite of each other - In other words, this is a BAW15D designated base.